Sharing all the same features as Vitus' classic 20 but in a super cool colour, this "raw alloy" silver limited-edition version gives a unique and cool finish to this fun and highly-capable kids bike. Tyres: Kenda Small Bloc 8 20 x 1.75"
The new range of Vitus kids bikes are ready to make riding more fun, opening the way for adventurers. The lightweight frames, rigid forks and just enough gears ensure these bikes have everything your junior rider needs and nothing that they don’t, with no extra complication or weight to hold them back. Each component is perfectly proportioned for smaller riders to ensure comfort and control. More fun and more pedalling starts here. For the 20" wheel performance, Vitus have fitted one more gear to give a Shimano 7 speed drivetrain, including a Altus rear derailleur and thumb shifter both these offer a light action performance making it easier for kids change gear. To ensure that the your child can stop with ease, Vitus have bolted on a set of Tektro V-Brakes to give a solid braking performance. Along with these, they have got short pull levers making it that little bit easier for the children to reach the levers. Rest assured that each Vitus bike is fully built, tested and tuned by Wiggle's team of qualified bike mechanics to ensure your bike arrives in perfect condition. 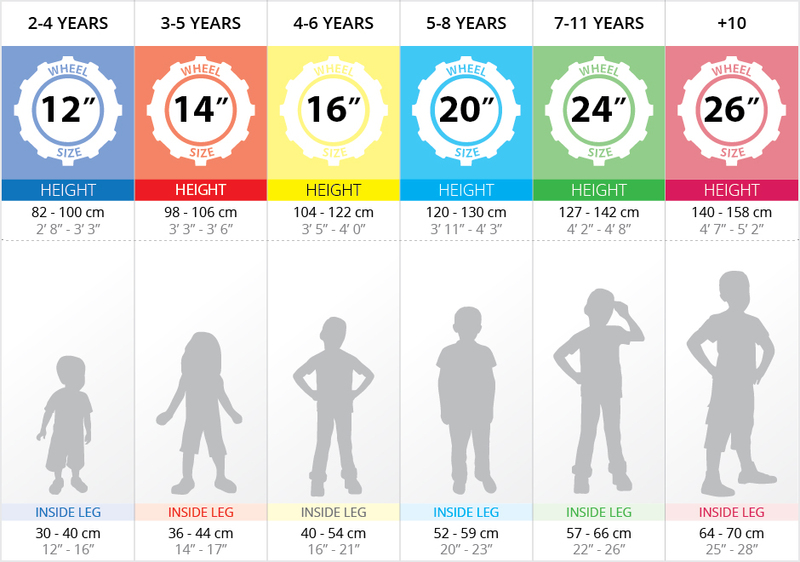 Find out which size fits you by clicking the size chart tab. Make sure you get the right size bike by having a quick look at the guide, alternatively click on the size guide tab for a more detailed size guide. Vitus 20 Kids Bike LTD is rated 4.9 out of 5 by 20. Rated 5 out of 5 by DDuggan from Virus Twenty Kids Bike My daughters love these bikes. 6 year old twins so needed a bike that wasn’t going to break the bank having to buy 2. Cannot fault them at all. Lightweight adjustable and the gears and brakes work easily with their little hands. Very happy with the bikes and would definitely recommend. As always 1st class service from wiggle. Rated 4 out of 5 by CPLaw from Well made childs bike This is a well-built bike with good quality components, should last a long time. Rated 5 out of 5 by Chrisobal from Great kids bike Light compared with most other kids bikes. Me and my just turned 6 years old daughter often go on rides together, I run she rides her bike. Before long her back wheel will be all I see on those rides!! !